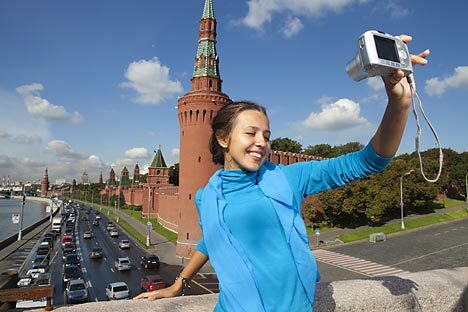 A proposal would allow foreigners to visit the Russian capital for three days without a visa. Russian authorities are set examine the idea of turning Moscow into a visa-free zone. Authors of the initiative claim that the measure would add 120 billion rubles to the city budget. Experts agree that such a visa regime might encourage business in Moscow, but Russia’s special services are unlike to give the green light to a visa waiver in the capital. “The visa regime holds back the development of tourism. If this initiative complies with the legislation and legal practice, it is a brilliant idea and an excellent PR move. Many will learn about this and, if Moscow manages to make the most of the idea, it can be tuned into a promotion campaign for Moscow as a place welcoming all sorts of tourist. Tourists naturally bring money to spend and the city will be reaping revenues from taxes,” Zelensky said. Political expert Dmitry Oreshkin, however, argues that the idea would be very hard to implement. “It is very important as a signal that the authorities are aware that visa procedures impede economic expansion. Moscow is making just half a step, but I don’t think it will be allowed to make such a move. The Interior Ministry will not allow it, for it likes to have things under control. The FSB won’t allow this, for it likes to have things under its control even more. We need to cancel visas if we want to encourage business. If we want to keep our uniqueness, which is terrified of foreign influence, then we must build an iron curtain, which our special services keep doing now just out of habit,” Oreshkin said. The Foreign Ministry has already said that a visa-free regime for Moscow might affect the talks over visa waiver for Russia with other countries. First published in Komemrsant FM.